The Phoenix Suns are the first major NBA Basketball team to have a certified Advanced Rolfer on hand, Jeffrey Maitland. “Phoenix Suns guard, Danny Ainge, who has received Rolfing for years, recommended the therapy to (Charles) Barkley. 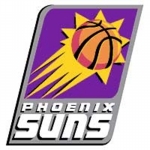 Other Suns, Mark West and A.C. Green, also have been Rolfed…with satisfactory results,” reported the Arizona Republic, May 1994. “Bodywork can extend athletic careers,” says Swan, whose career ended from an sports injury. “I truly believe if I had been Rolfed in the early part of my career, I would still be pitching.”Swan’s recovery from a pitching injury inspired him to become a Rolfer and help others. His clients include former baseball star, Tom Seaver and tennis champion, Ivan Lendl. “For a professional athlete, your job requires you to be at your optimum best,” says Qadry Ismail, Baltimore Raven’s wide receiver. “If you are not at your best your performance decreases drastically. I depend on Rolfing for injury prevention and recovery. “My wife recommended (Rolfing) highly”, says Willie Nelson, “…The first of ten sessions fixed (my back pain),” reported the New York Times, on Feb. 23, 1995. Copyright © 筋膜∞温熱療法院 All Rights Reserved.